Rob Buckley is a Partner and Head of our Corporate and Commercial Team. 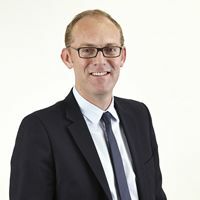 Rob specialises in M&A and inward investment work and has particular expertise in sports-related commercial matters, having developed a strong sports and media practice, advising personalities on their commercial and individual objectives. Rob is seen by many commercial clients to be a key business advisor, helping them develop and deliver their strategic objectives, resulting in close, long-term relationships with a range of clients. Rob is also a key driver in our retail and leisure team.